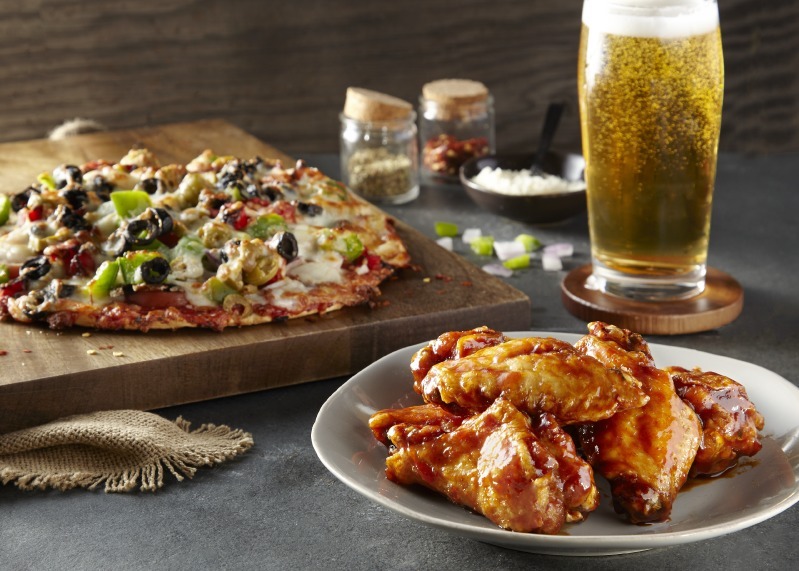 Jersey‘s Pizza & Grill is the first true “Sports Restaurant” where the quality and excellence of the food is just as important as anything that is being shown on our TV’s. 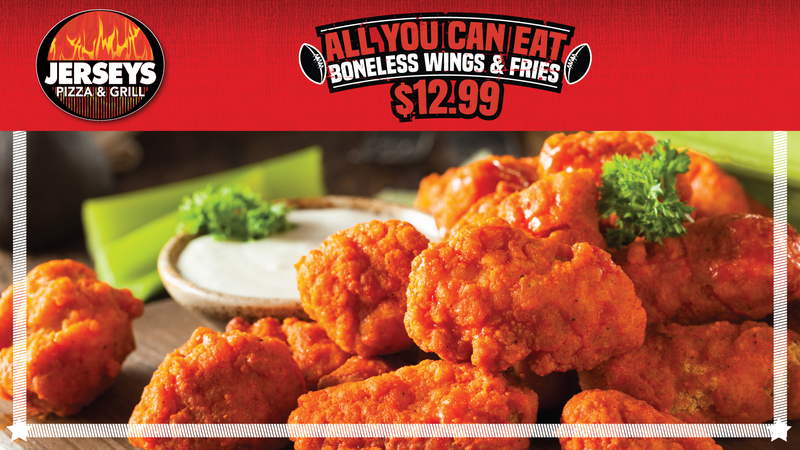 Jerseys features 2 6 FOOT x 10 FOOT HD big screens along with 32 – 42″ HD Flat screens. Jerseys is the only place for you and friends and family to catch the biggest events. If it is just watching your favorite team, American Idol, The Event, or even the Big Bang Theory, Jerseys is the place to be!! 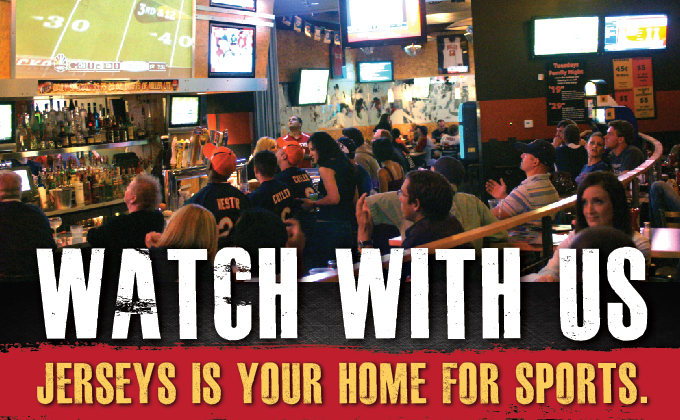 Jerseys has all the major sports packages so every team is available for the fan to watch!! Jerseys has been voted Best Sports Bar, Best Wings and Best Pizza in the Northwest Suburbs of Chicago. If that isn’t enough to get you to come in, Jerseys also features award winning burgers, salads, steaks and ribs. 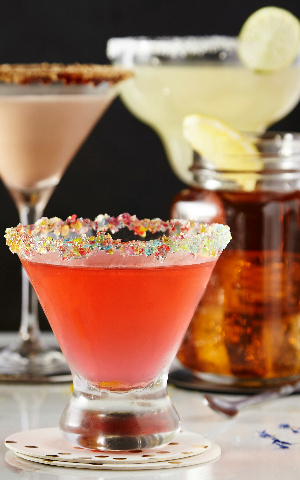 Jerseys is the perfect place for all to come and enjoy so bring the kids, bring the teams, have a night out, or come out with friends to sit back and just relax. Jerseys is located a one block north of I-90 on the corner of Barrington Rd. and Lakewood Blvd. Book Your Private Party At Jerseys! Jersey‘s offers food and beverage packages to fit your needs! Whether it‘s a group getting together for game day, a club meet-up, or a youth team or kids party, we‘ve got you covered! Check out our available packages or contact us for more info! Earn Rewards At Jerseys Pizza And Grill!